Goffinet, B. 1997. Circumscription and phylogenetic trends in the Orthotrichales (Bryopsida). Ph.D. thesis. University of Alberta, Edmonton, Canada. Goffinet, B. 1989. La végétation épiphytique de la hêtraie du Rurbusch. Bases écologiques nouvelles pour la gestion de la Réserve forestière. Mémoire de licence. Université de Liège, Liège, Belgium. 9. Rozzi, R., F. Massardo, A. Mansilla, F.A. Squeo, E. Barros, T. Contador, M. Frangopulos, E. Poulin, S. Rosenfeld, B. Goffinet, C. González-Weaver, R. MacKenzie, R.D. Crego, F. Viddi, J. Naretto, M.R. Gallardo, J.E. Jiménez, J. Marambio, C. Pérez, J.P. Rodríguez, F. Méndez, O. Barroso, J. Rendoll, E. Schüttler, J. Kennedy, P. Convey, S. Russell, F. Berchez, P.Y.G. Sumida, P. Rundell, A. Rozzi, J. Armesto, M. Kalin-Arroyo & M. Martinic. 2017. Parque Marino Cabo de Hornos — Diego Ramirez. Informe Técnico para la Propuesta de Creación. Programa de Conservación Biocultural Subantártica, Ediciones Universidad de Magallanes, Punta Arenas, Chile. To view the book on-line click on the image. 8. Rozzi, R., L. Lewis, F. Massardo, Y. Medina, K. Moses, M. Ménendez, L. Sancho, P. Vezzani, S. Russell & B. Goffinet. 2012. 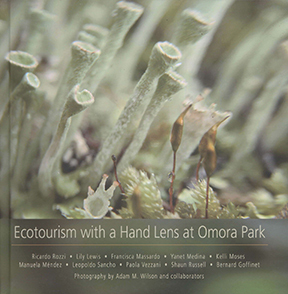 Ecotourism with a Hand Lens in the Omora Park. 190 p. Photography by Adam M. Wilson and collaborators. 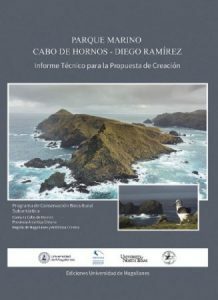 Sub-Antarctic Biocultural Conservation Program, Universidad de Magallanes – University of North Texas. Ediciones Universidad de Magallanes. 4. Goffinet, B., W. R. Buck, P. Massardo & R. Rozzi. 2006. The Miniature Forests of Cape Horn. Fantastico Sur – Universidad de Magallanes. 255 p. Punta Arenas, Chile. 1. Goffinet B. & U. Penz. 1991. Im Wallonischen Venn. German translation of “Promenades en Fagne wallonne” by Frankard et al. (1990). 141 pp. ASBL Hautes-Fagnes, Belgium. 12. Goffinet B. 2007. Aphanorrhegma Sull. Physcomitrella Bruch & Schimper, Pyramidula Bridel and Rhachithecium Le Jolis. Pages : 181-182, 194-195, 199 and 468-469, respectively. In: Flora of North America Editorial Committee, eds. 1993+. Flora of North America North of Mexico. New York and Oxford. 27. 9. Goffinet B. 2006. Splachnaceae. Pages 173–181. In: P. McCarthy (ed. ), Flora of Australia Volume 51: Mosses 1. Australian Biological Resources Study and CSIRO Publishing. 8. Goffinet B., A.J. Shaw, C.J. Cox, N. J. Wickett, & S. Boles. 2004. Phylogenetic inferences in the Orthotrichoideae (Orthotrichaceae: Bryophyta) based on variation in four loci from all genomes. Pages 270–289. In: B. Goffinet, V. Hollowel & R. Magill (eds. ), Monographs in Systematic Botany from the Missouri Botanical Garden 98. 6. Sérusiaux E. & B. Goffinet. 2000. Lichens et Bryophytes sur le site de la Makandé. Pages 68–89. In: F. Hallé (ed. ), Biologie d’une canopé de forêt équatoriale – IV. Rapport de la mission du radeau des cimes à la Makandé, forêt des Abeilles, Gabon. Janvier – Mars 1999.Pro Natura International. 3. Goffinet B., and T. Goward. 1998. Is Nephroma silvae-veteris the cyanomorph of Lobaria oregana? Insights from molecular, chemical and morphological characters. Pages 41–52. In: M.G., Glenn, R.C. Harris& M.S. Cole (eds. ), Lichenographia Thomsoniana: North American Lichenology in Honor of John W. Thomson. Mycotaxon Ltd, Ithaca NY. 136. Dong S., Q. He, S. Zhang, H. Wu, B. Goffinet & Y. Liu. 2019. The mitochondrial genomes of Bazzania tridens and Riccardia planiflora further confirms conservative evolution of mitogenomes in liverworts. The Bryologist 122: 130–139. 133. Liu D., B. Goffinet, X. Wang, J.-S. Hur, M. Yang, H. Shi, Y. Zhang, C. An & L Wang. 2018. Another lineage of basidiolichen in China, with one new species and new record in the genera Dictyonema and Lichenomphalia (Agaricales: Hygrophoraceae). Mycosystema 37: 849–864. pdf. 131. Laenen B, J. Patiño, A. Hagborg, A. Désamoré, J. Wang, A. J. Shaw, B. Goffinet & A. Vanderpoorten. 2018. Evolutionary origin of the latitudinal diversity gradient in liverworts. Molecular Phylogenetics and Evolution 127: 606–612. pdf. 69. Rozzi R., F. Massardo, Y. Medina, K. Moses, P. Caballero, E. Camelio, V. Morales, L. Lewis, B. Goffinet, M. Mendez, L. Cavieres & S. Russell. 2011. Ecoturismo con lupa: integración de las ciencias ecológicas y la ética ambiental. Revista Ambiente y Desarrollo 24: 30–37. 1. Goffinet B. 1992. Deux lichens nouveaux pour la Belgique: Bryoria subcana (Nyl. ex Stizenb.) Brodo & D. Hawksw. et Micarea melaena (Nyl.) Hedl. Dumortiera 51: 19-21. 2. Goffinet B. & T.A.J. Hedderson. 2000. “Evolutionary biology of the Bryopsida: A synthesis”. Introduction. The Bryologist 103: 185-186. 1. Goffinet B. 1992. The North American distribution of Peltigera retifoveata. Evansia 9: 49-51. 1. Goffinet B., W.R. Buck & A.J. Shaw. Constantly updated. Classification of the Bryophyta. 11. Medina R. & B. Goffinet. 2014. Better shoes alone don’t get you to your destination. Review of Zander, R. H. 2013. A Framework for Post-Phylogenetic Systematics. The Bryologist 117: 431–433. 8. Goffinet B. 1999. Review of American Arctic Lichen. 2. The Microlichens. By J.W. Thomson. The Bryologist 102: 345-346. 7. Goffinet B. 1998. Review of Macrolichens of the Pacific Northwest. By B. McCune and P. Geiser. The Bryologist 101: 478. 6. Goffinet B. 1998. Review of Flora of the Guianas. Series C. Bryophytes. By Görts-van Rijn A.R.A. (ed.). Nordic Journal of Botany 18: 322. 5. Goffinet B. 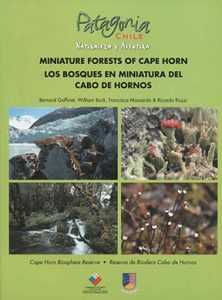 1997. Review of Niebla and Vermalicinia (Ramalinaceae) in California and Baja California. By R.W. Spjut (1997). Plant Science Bulletin 43: 83-85. 4. Goffinet B. 1996. Review of Die Moos- und Farnpflanzen Europas. By Frey, W., J.-P. Frahm, E. Fischer & W. Lobin (1995). The Bryologist 99: 379. 3. Goffinet B. 1994. Review of The Lichens of Italy. An Annotated Catalogue. By P.L. Nimis (1993). Vegetatio 116: 173. 2. Goffinet B. 1994. Review of Monographic Studies in Orthotrichum (Musci). By J. Lewinsky (1993). The Bryologist 97: 464-465. 1. Goffinet B. 1993. Review of Populationsbiologie der Pflanzen – Grundlagen – Probleme – Perspektiven. By K.M Urbanska (1992). Plant Science Bulletin 39: 18-20.